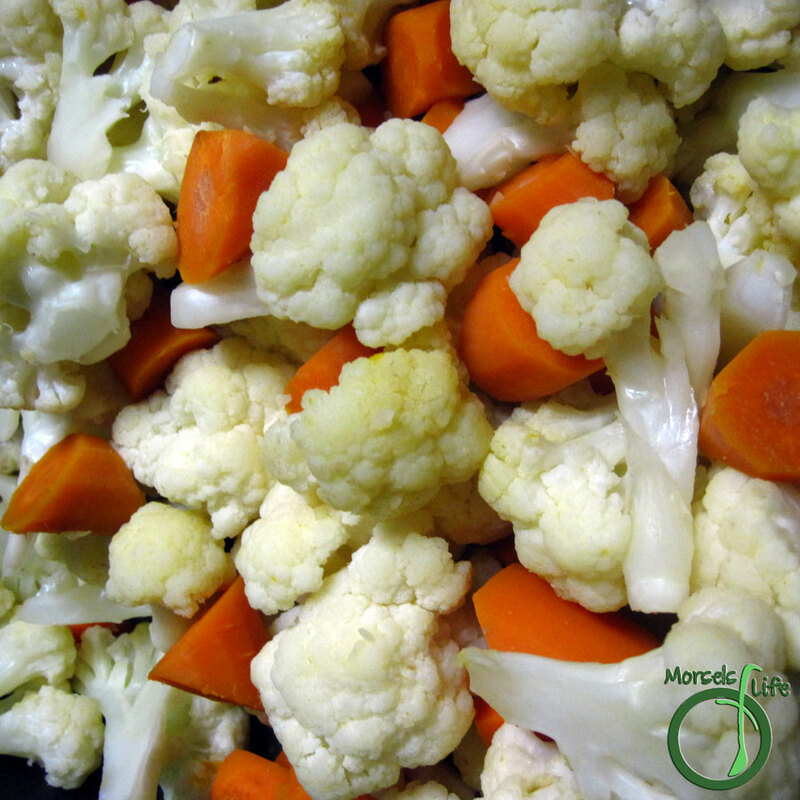 Combine the healthiness of steamed veggies with all the flavor of stir fried veggies in this cauliflower and carrots dish. Sure, everyone knows vegetables are healthy, and everyone needs to eat more. But, as healthy as steamed veggies are, sometimes you just can't subject yourself to another batch of bland, overcooked, steamed vegetables. Well, this dish should change things up for you! Sure, this vegetable dish isn't as healthy as plain steamed vegetables with no salt or oil or any tasty for that matter. These carrots and cauliflower are almost as healthy as steamed vegetables. BUT, they also have the tastiness of stir fried vegetables without all the oil. Kinda like stir fried vegetables and steamed veggies had a kid with all the good traits. Give this cauliflower and carrot dish a try and never go back to plain, bland, overcooked, steamed veggies again! What's your favorite way to cook vegetables? Cook garlic in a small amount of oil until fragrant. Add in carrots and cauliflower florets, mixing around so everything gets a bit of garlicky flavor. Add a few tablespoons of water and close the lid. Stir around once in a while until cooked to desired tenderness, adding more water if needed.